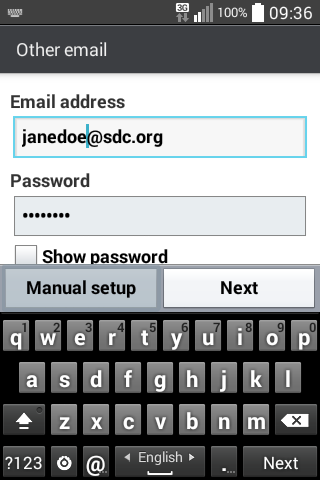 This page shows you how to setup Android Mail or K-9 Mail to use your SDC email account when you are on or off of the SDC network. 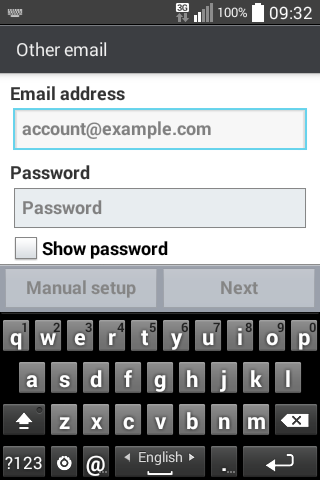 Android Mail is the email program which comes preinstalled on Android devices. 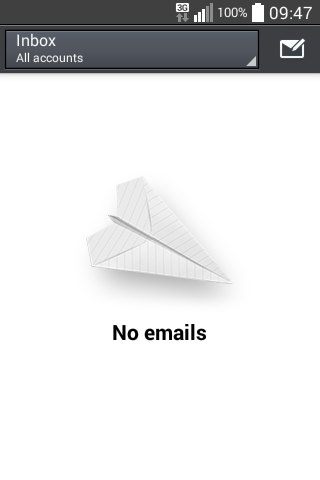 After starting Android Mail from the "Email" icon, you'll be asked to select your email provider. The next screen will ask you for your email address and password. 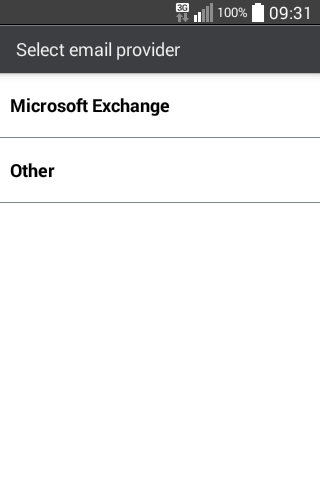 The next screen will ask you for your account type. 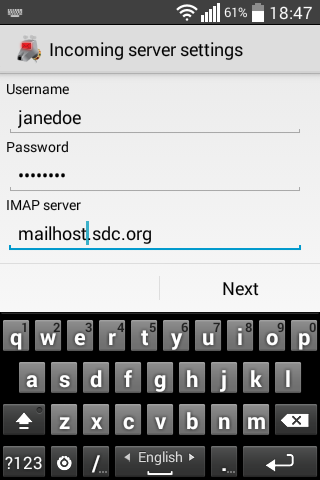 IMAP4 lets you access and manage your mail on SDC Internet's servers, while POP3 lets your download mail to your Android device for offline correspondence. 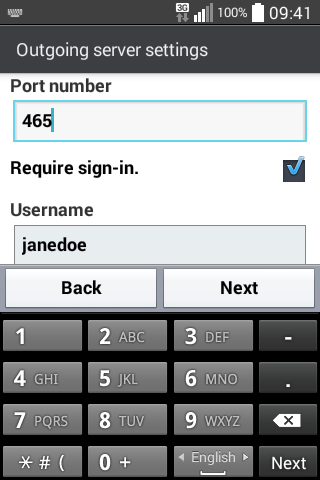 Most users should choose IMAP4, especially if you plan to use your email on a desktop or laptop PC or multiple devices. These instructions assume that you tap on the default selection, IMAP4. After selecting one, tap on the "Next" button. The next screen will ask you for your incoming mail server settings. For IMAP4 server, enter "mailhost.sdc.org"
For Security type, select "TLS"
The next screen will ask you for your outgoing mail server settings. For SMTP server, enter "smtp.sdc.org"
For Security type, select "SSL"
Important: If your username or password is incorrect, you'll be taken back to the Incoming server settings screen. 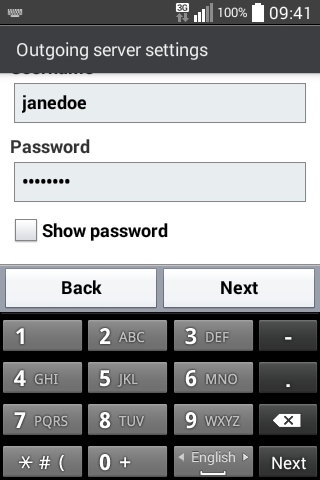 The final setup screen will ask you for an account name and your name. 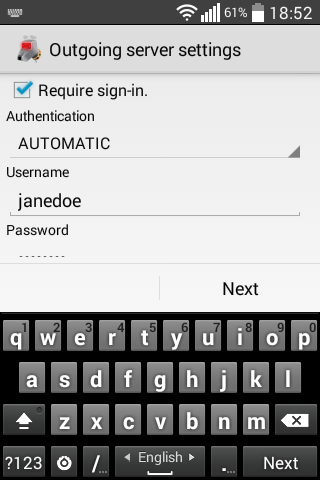 K-9 Mail by K-9 Dog Walkers is a free and popular email app available in the Google Play store. 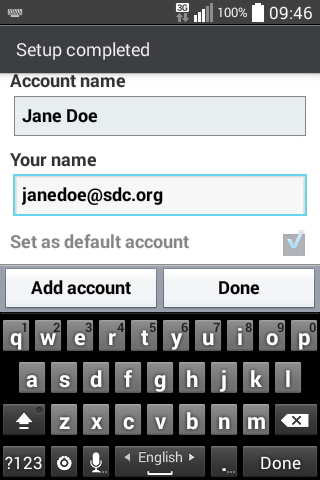 After starting K-9 Mail, tap on the plus sign button on the bottom bar to begin adding an email account. 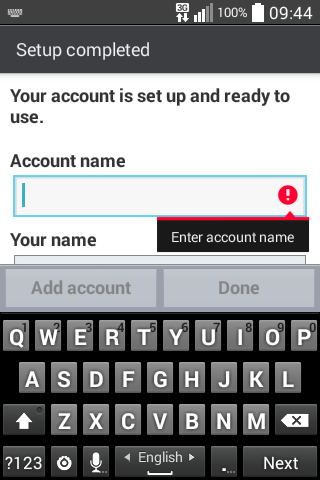 The first screen will ask you for an account type. For IMAP server, enter "mailhost.sdc.org"
For Security, select "SSL/TLS (always)"
The next screen will let you configure account options. If you want to adjust any defaults now, you may do so here. 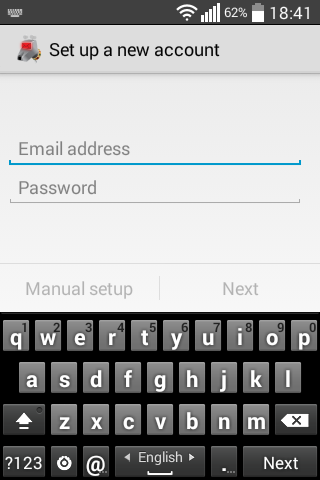 The final setup screen will ask you for display names. The first line is "Give this account a name (optional):"
The second line is "Type your name (displays on outgoing messages):"
The new account will be added, and K-9 Mail will check for mail on it straight away. This website and its content are copyright © 2003 - 2019 by SDC Internet unless otherwise noted. To report a problem with this website, or make a comment or suggestion, please contact us at webmaster@sdc.org.